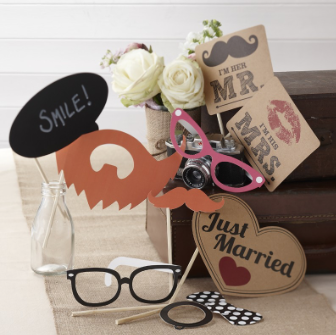 A pack of 10 vintage photo booth props. Ideal for capturing all those special memories from your big day. 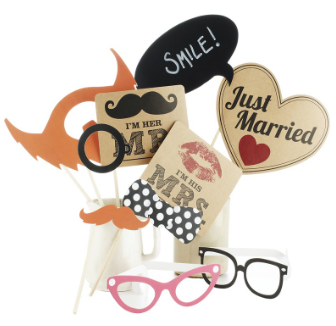 Includes moustaches, quirky hair props and a chalkboard speech bubble for you to write your own message! Each prop is around 25cm in height.